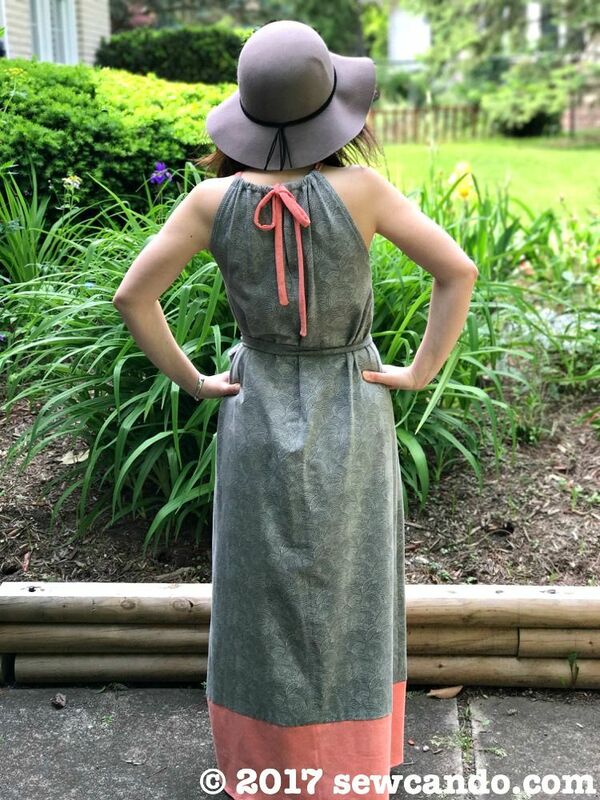 In the 90+ degree heat this week, I've found the perfect maxi dress pattern to keep cool in: McCalls M7405 from their Learn to Sew For Fun series. For the record, I'm always skeptical about Big 4 patterns that promise to be easy. Either they aren't at all or it means they'll just look unflattering and be a waste of time. This one totally surprised me by being exactly what it said! It was totally fun to do too. 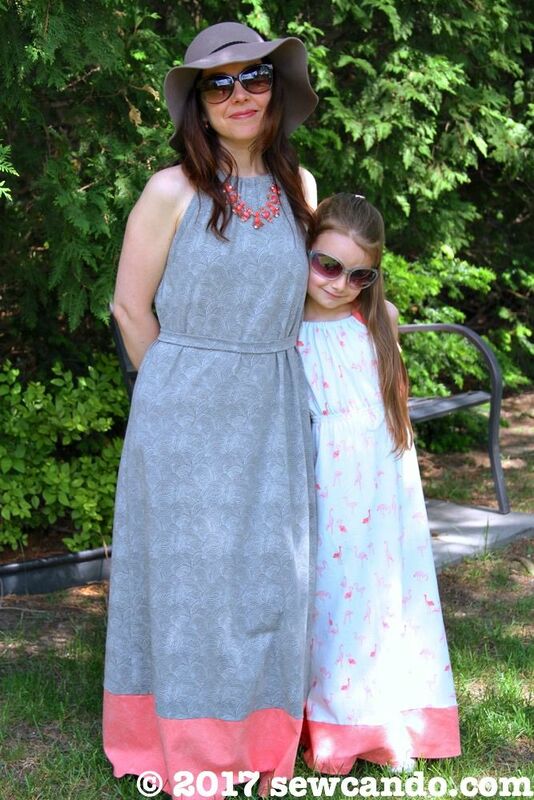 The pattern has options for an above-the-knee length, curved mid-length hem and full maxi. Side slits and elasticized waist are other options. Recommended fabrics are Challis, Cotton Knit, Crepe and Gauze. 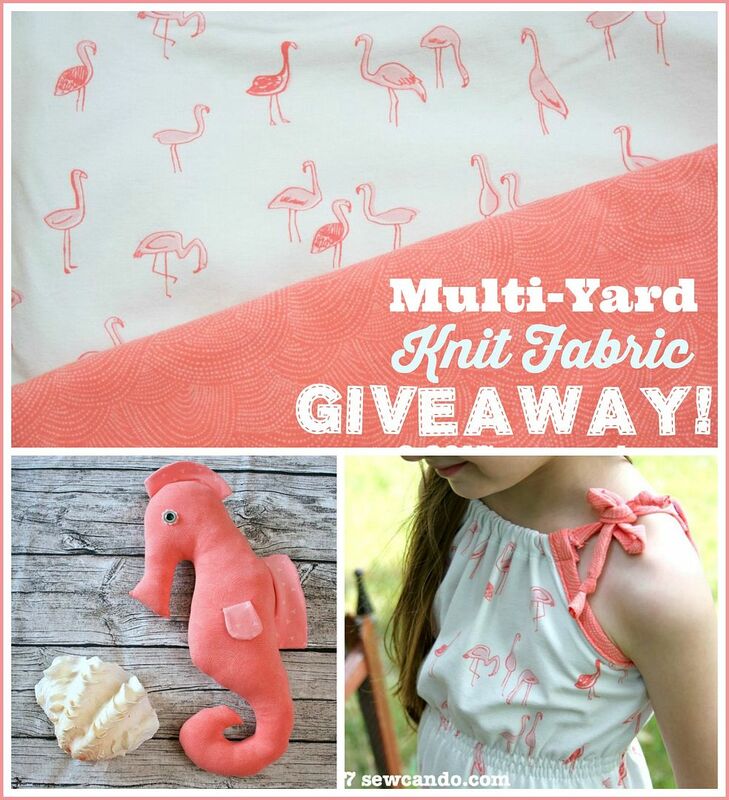 Basically, fabrics with a soft drape and a bit of give. I went with cotton knit. I'd advise checking the length against your height before you buy the fabric. 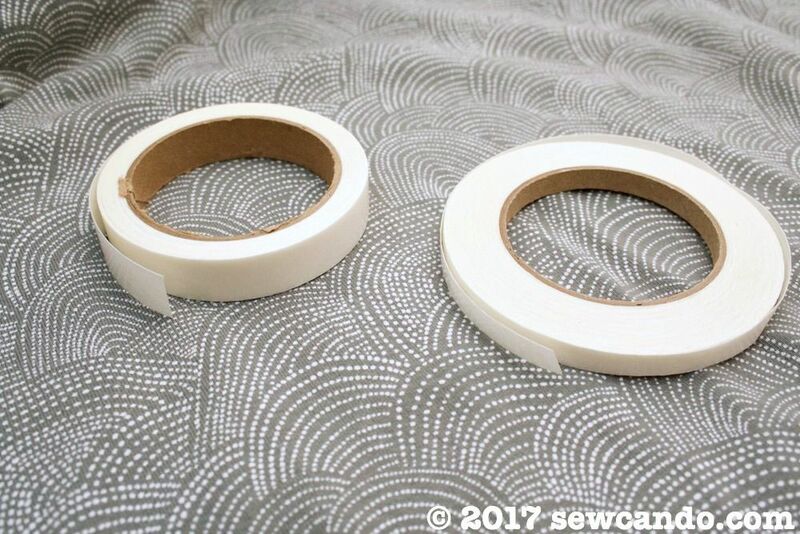 Since I'm pretty short at 5', I only needed 2 1/4yds instead of the suggested 3 1/2yds (that's a BIG cost difference!). To put my own spin on the dress, I did a color blocked hem. 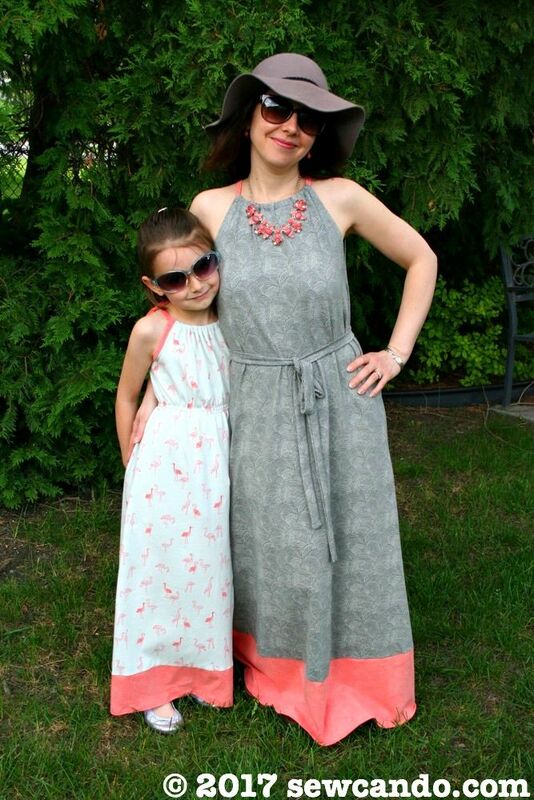 I used the new Dear Stella Scallop Dot knit fabric in Fossil for the main dress and the same Scallop Dot in Guava for the hem and neck drawstring for a pop of color and to coordinate with the maxi dress I designed for my daughter that used the same DS Guava knit for the shoulder ties and hem (and their coordinating Flamingoes knit in Bay blue). 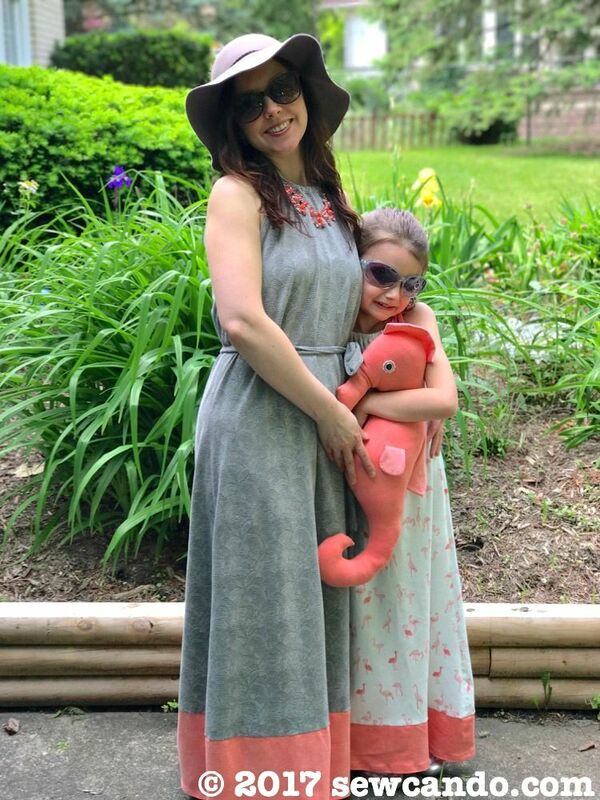 The Easy Any Size Maxi Dress design would totally work in an adult size too, but I'd bought this McCalls pattern at the end of last summer for just 99 cents, so I figured I should actually try it at least once. I'm glad I did! The drawstring neck ties in the back so it doesn't look too twee and has a stylish partial slit there to make it easier to get on. I will say that it is necessary to either do the elasticized waist variation, make a removable waist tie like I did or wear a belt. Otherwise this dress will look too blowy for most figures. On the plus side, that aspect could make it a good maternity dress option. 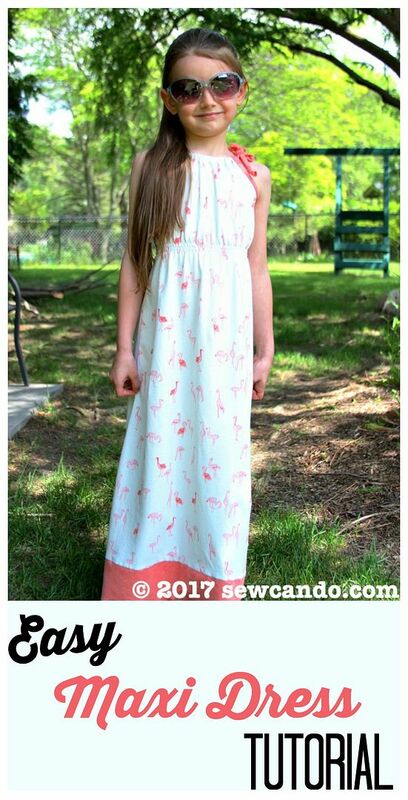 The directions are simple, so this really is a quick sew. I made some shortcuts to make it even easier. 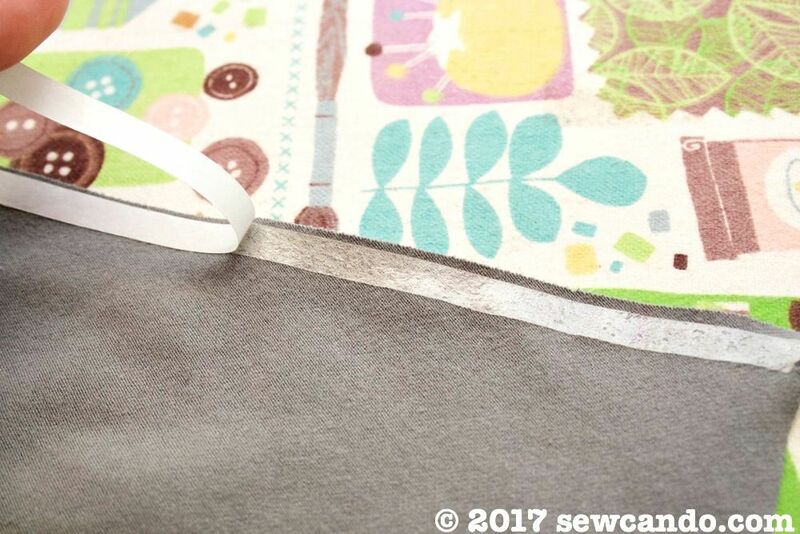 When sewing knits and dealing with patterns that have fold under areas like this does in the arm area and hem, my go-to for making it frustration-free is paper backed fusible tape. I used some 1/4 inch wide for the bodice area and 1/2 inch for the bottom hem. This made it very easy to double fold the thin underarm areas and also made quick work of the neck casing. It guarantees everything stays put and is folded perfectly evenly. 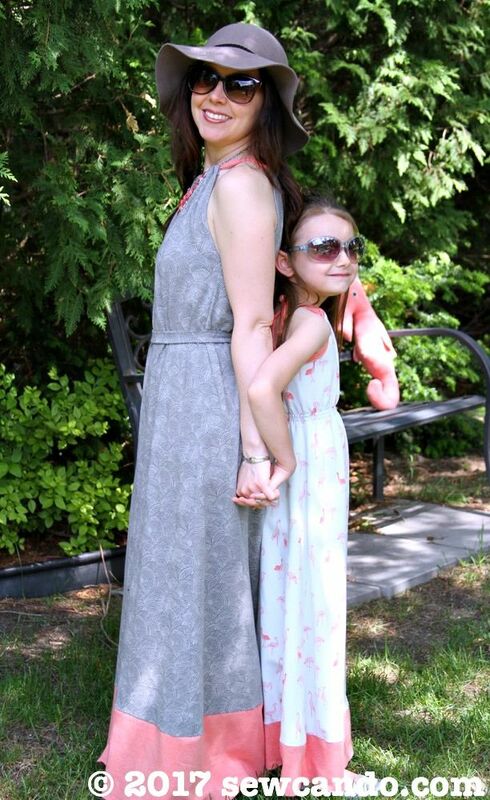 I also recommend taking up the side seam under the arms a few inches (unless you have a very long torso). My bra easily showed on the sides until I took it up 3 inches above the pattern. 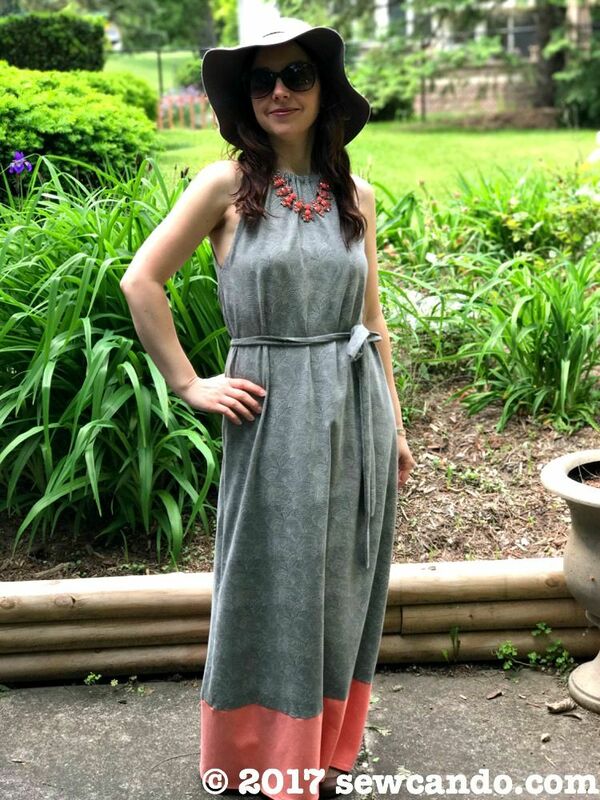 The dress is SO comfortable and easy to style up just by adding a few accessories. 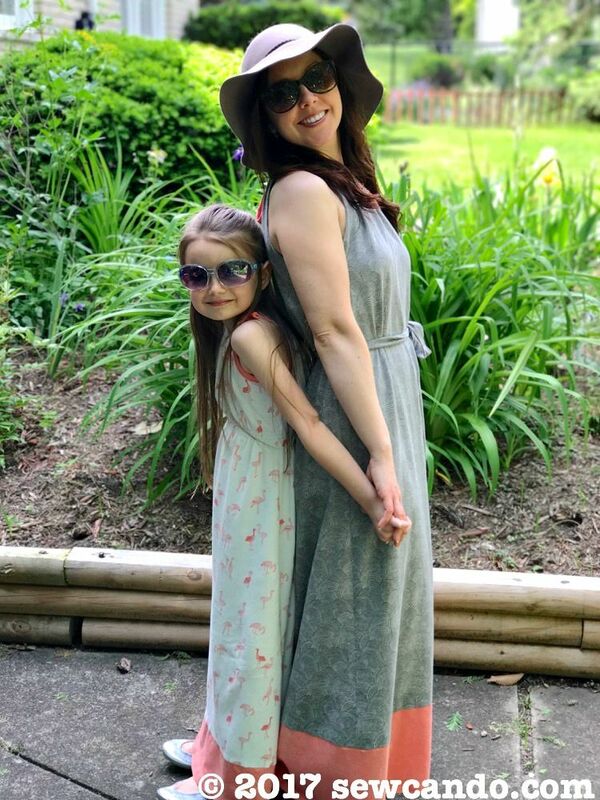 I also love how we've got a Mommy & Me outfit vibe going, but it's coordinated, not cutesy, since they're not exactly the same.